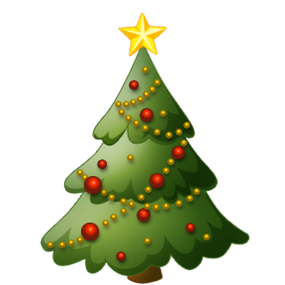 Mount your Christmas tree on a sturdy base and make sure it’s clear of all heat sources. Replace any holiday lights with damaged or frayed wiring. Don’t attempt to repair. Never place wrapping paper in a fireplace. Have your chimney and wood-burning fireplace inspected and cleaned annually. Stay near the stove when cooking and make sure the burners and the oven are off when you’re done. Keep paper and fabic away. Don’t leave burning candles unattended. Limit the use of extension cords for decorations , and make sure they are UL approved. Holiday Criminals Not everyone is feeling festive during the holidays, nd they are ready to steal your joy if tempted. Lock all doors and windows when leaving, and ask a neighbor to watch your home if you will be out-of-town. Use timers for lights, and leave a radio or television on so your house looks and sounds occupied. Be very cautious when opening doors to delivery people or holiday well-wishers. A home security system is a low-cost investment that offers peace of mind during the holiday season and year-round. An Unwelcome Holiday Surprise How do you know it’s the holidays? The shower is freezing, the dishwasher won’t empty; the toilet overflows; or the oven stops baking-mid turkey. Don’t panic. The Lee Ann Miller team can put you in the hands of a top-quality licensed service providers to help solve your problems. And for an extra measure of confidence, consider a Home Trust Warranty. This entry was posted in Belmont - NC, Cabarrus County - NC, Charlotte - NC, Concord - NC, Cornelius - NC, Davidson - NC, Denver - NC, Denver - West Norman, Do It Yourself, Fort Mill - SC, Gaffney - SC, Gaston County - NC, Gastonia - NC, Hickory - NC, Huntersville - NC, Iredell County - NC, Kannapolis - NC, Lake Living - Lake Norman - NC, Lake Living - Lake Wylie - SC, Lake Living - Mtn Island Lake - NC, Lee Ann Miller Team, Lincoln County - NC, Lincolnton - NC, Mecklenburg County - NC, Mooresville - NC, Mount Holly - NC, North Carolina, Pineville - NC, Real Estate - Buyers, Real Estate - Home Ownership, Real Estate - Sellers, Rock Hill - SC, Sellers, South Carolina, Statesville - NC, Troutman - NC, Uncategorized, Weddington - NC and tagged Candles, Christmas Trees, DIY, Holiday Season, Home Fires, Home Safety, Home Trust Warranty, Home Warranty, Lee Ann Miller Team, Real Estate - Buyers, Real Estate - Home Ownership, Real Estate - Sellers by Lee Ann Miller. Bookmark the permalink.